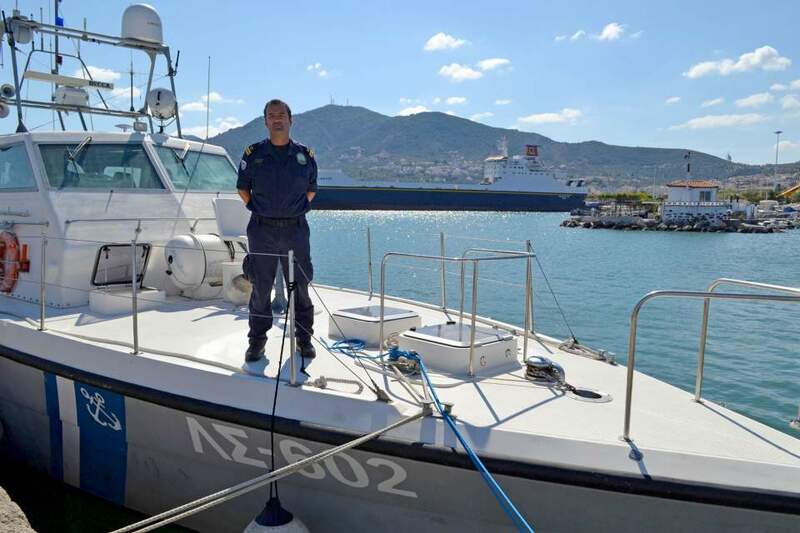 A statue will be erected on the eastern Aegean island of Lesvos to honor Hellenic Coast Guard Lieutenant Kyriakos Papadopoulos, who died of a heart attack last week at the age of 44. Hailed as the “hero of the Aegean,” Papadopoulos is credited with commanding a patrol boat that rescued more than 5,000 refugees and migrants on the perilous crossing from Turkey to Greece, most at the peak of the crisis in 2015. The statue in honor of Papadopoulos, a native of Lesvos, will be funded by the Hellenic Entrepreneurs Association (EENE), the group said in an announcement on Friday. “EENE wants to show how one can be sensitive and hospitable while at the same time loving and honoring the country's national symbols, traditions and principles,” it said.